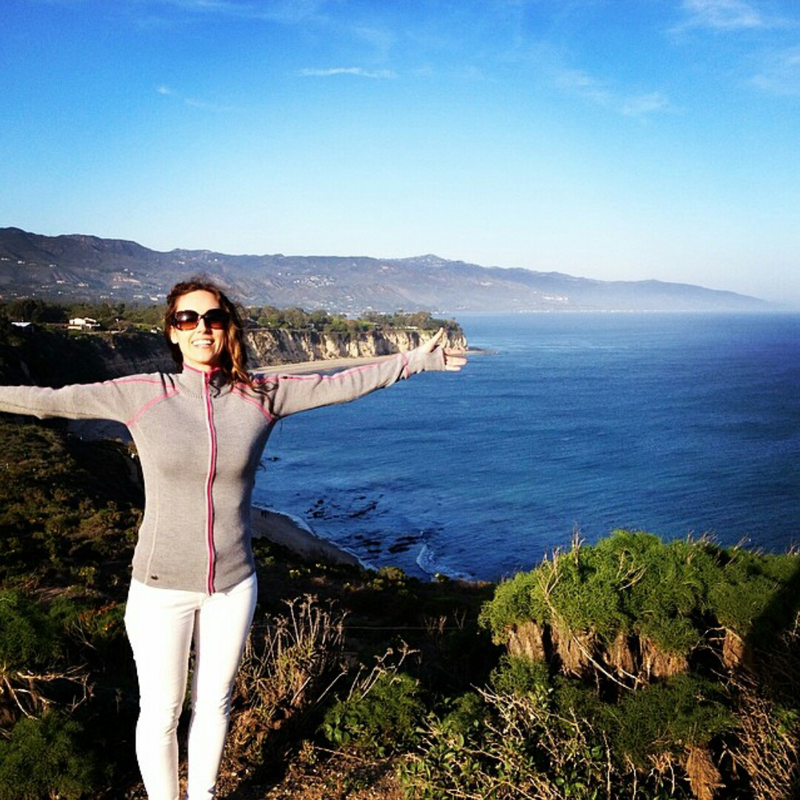 Sarah believes work/life balance is one of the keys to a successful career as a social worker. Wonder Women at Work (WWW) is a series of interviews with women who aspire to make a difference through their roles and occupations. The aim of this series is to provide a personal insight into positions held by women in various fields of work to inspire young women to pursue meaningful careers and livelihoods. The goal is to also encourage girls and women to push social and cultural boundaries by exploring roles and jobs they believe can solve problems that are important to them. 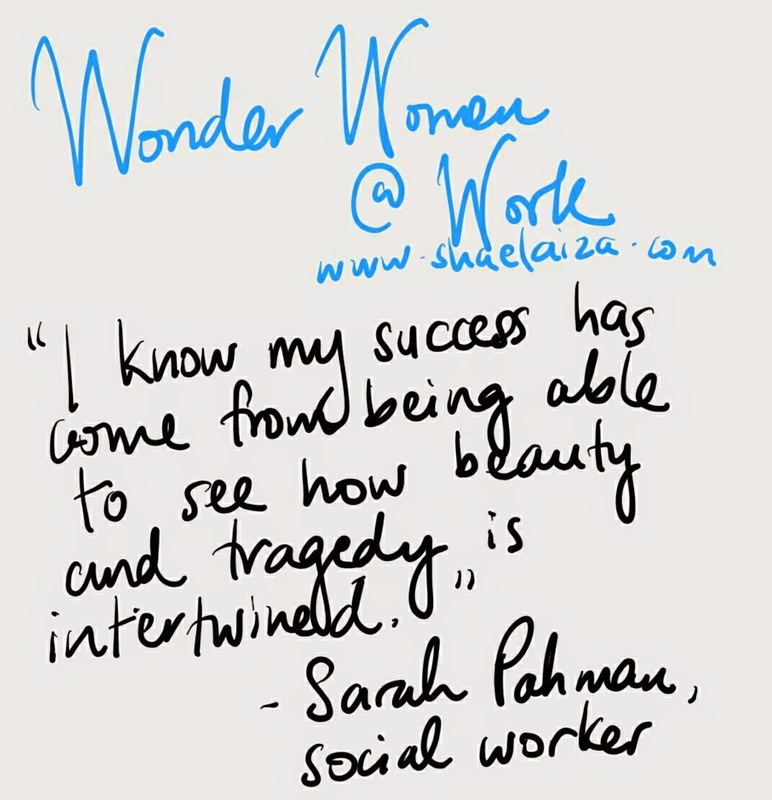 This week's post features Sarah Pahman, an initial assessment social worker from Wisconsin, America. She is a licensed Advanced Practice Social Worker. I "met" Sarah through our blogs many years ago and I have always admired her grit and positive attitude. You know the song "Brave" by Sara Bareilles? It reminds me of her. To add to her awesomeness, Sarah holds a Bachelors degree in social welfare, a Masters degree in social work and she is also a fitness aficionado. I am an Initial Assessment Social Worker for my county government. The unit I work in is called Child Protection. My job is to investigate allegations of child abuse and neglect within my county. I have 60 days to do my investigation and make a decision based on the information I gather. Sometimes we find that the allegations are false and we close the case. Sometimes we find that the family is in imminent threat of being neglectful or abusive and services need to be involved in order to educate the family and make sure the child is safe in their home. Other times the abuse or neglect is a present danger and the child needs to be removed from the home immediately in order to protect their safety. When this happens we try to place the child with a protective family member, and if that is not achievable we place the child in a foster home. We have very strict laws and policies we have to follow when we do our investigations and make our decisions. 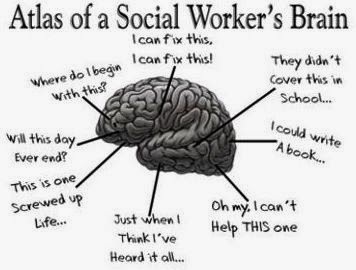 How did you become an Initial Assessment Social Worker? I wanted the challenge. In my field, child protection is considered the most difficult and is one of the highest stress jobs one can get into. Burnout is very high in this line of work and one works with some of the most marginalised people in our communities. Many of our clients are dealing with oppression, mental health issues, lack of education, unemployment, exploitation, and untreated trauma. I wanted to challenge myself to learn the job and do well at it. I felt like if I could do well in child protection then I could do well in any social work position. I also wanted the frontline, direct practice experience as a foundation for whatever endeavors I pursue in the future. Trauma work is a passion of mine so this felt like a natural fit. I have my bachelors degree in social welfare, my masters degree in social work, and I am a licensed Advanced Practice Social Worker. I also worked as a case manager in my past, as an advocate for women experiencing interpersonal violence in their relationships, and as an advocate for sexual abuse survivors. What are some of the highlights of what you do? The highlights of the job are when we are able to connect families with services that make a real and lasting change in their lives and keep their children safe. When we are able to find housing for a homeless mother living in her car with her teenage daughter, when we conduct a thorough interview of a child who has been sexually abused and that interview is used to convict the maltreater and send him to prison, when we are able to connect a person with trauma and mental health treatment that makes a difference in their lives and helps them live with a better quality of life – therefore making them able to be a better parent to their children. I think these are always the highlights of the job because it signifies a real and lasting change is occurring, and that social justice is a possibility. What challenges do you face as an Initial Assessment Worker? When a family is abusive or neglectful of a child, and we do our investigation and are aware of it, but cannot legally do anything about it because it does not meet the legal definition of abuse or neglect. The challenges are when we work with families who are on the borderline. There is so much grey area in this job. A family needs help but it doesn’t rise to the level of treatment being covered for them, or us being able to provide services, or provide a solution. Chronic, low level neglect that has an obvious and apparent affect on children’s lives but does not rise to the level of being a legal matter – is very hard to walk away from. When women are being exploited or abused by their partners and the children witness it but we don’t have any legal means to step in – that is hard to walk away from. When a woman who is being abused by her partner refuses services that is always hard to walk away from. When a family blames the child instead of the adults taking accountability that is always difficult to deal with, as is really difficult mental health issues, untreated depression, PTSD, etc.. There are many challenges in this work, but I think that gives a good example. Sometimes these challenges cannot be overcome because it is simply the reality of life, or the system. This is why burnout is high in this field. It is very difficult to sit with the discomfort of wanting to do something and not being able to. Does faith play a role in your job? If you consider spirituality as a part of faith, then yes. I know that my success has come from being able to see how beauty and tragedy is intertwined. Being able to witness immense forms of emotional pain day in and day out, and still ponder the trees, and the universe – and it’s immense beauty. This is an act of the spiritual. In this work many times I have to accept that I do not have control, nor understanding of how and why the world is such a painful, exquisite experience. Acceptance of not knowing, and being fully present in the moment – has been my key. I also think respecting my client’s faith is a huge part of component doing good work. I think linking families to faith-based services within their own communities is tremendously wise when trying to get a family hooked in with services and/or to follow-through with them. Any words of advice for someone who wants to be an Initial Assessment Social Worker? The biggest misconception about what I do is that we are baby snatchers. That we go in and we take children from their families without any rhyme or reason. This is so untrue. We do everything in our power to keep children safe with their families, and when a child needs to be removed from their family it is because they are in serious threat of harm and we have to step in to keep that child safe. I also hear people say a lot that they could never do what I do. I think this may be true for some, so if you are thinking about getting into this field make sure you do your research. You will be working with severely marginalized families in many cases, with people who are street smart and savvy and you have to be the same to do well in this career. You have to be comfortable communicating with people from all walks of life, all cultures, races, religions, who may not have the same values or worldview as you. You have to be comfortable collaborating with law enforcement, with the court system, lawyers, victim advocates, therapists, and many other professionals involved in this kind of work. This job is definitely a team effort among many players in the community. You also have to have good boundaries and know when your boundaries are being crossed. You have to be good at making quick decisions and you have to be flexible and willing to change your mind as new information comes in. You have to be willing to work long hours, and to deal with seeing children hurt, abused, neglected, and traumatised. This line of work can have an effect on people, you will be working with traumatised people, speaking about traumatic events in people’s lives, and sometimes you are going to feel helpless and unable to do anything about it. Excelling at this job equates to having a good work/life balance. Having hobbies outside of work, pursuing a passion, working out, seeking therapy if needed, are all things one must do in order to maintain a healthy balance. I think people who have a strong faith can excel in this work because they have something to lean on and gain strength from. I also think people of faith who pursue this position have to ask themselves if they are willing and able to put their own religious values aside (whatever they may be) and not push them on their clients. This job is all about balance. What do you do in your free time to achieve balance? I love to travel, eat good food and write reviews of local businesses, read, practice yoga, and run. Beautiful interview! it was actually really interesting and inspiring. It helped me to clear myself about what all that field involves and what they trully do. Thanks for your comment, Laila. I'm happy it gave you some insight into one aspect of what social workers do.